Садовые вазы, горшки и вазоны. Antique Ceramic Vase. Garden ceramics. 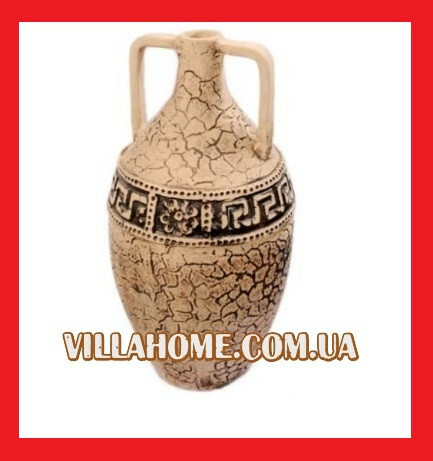 В наличииAntique Ceramic Vase. Garden ceramics. 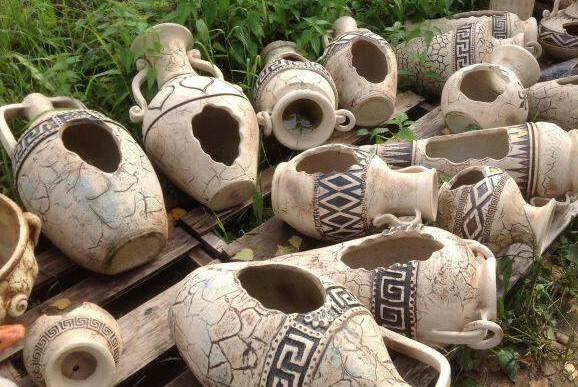 Old-style Greek Vase from ecological material - chamotte. Exquisite vase. Vintage ceramic pot, made of fireclay. Chamotte ( fireclay ) - this is a refractory material, which is obtained by the thermal treatment of kalinic clay. The figures of fireclay allow you to save the optimal amount of moisture and temperature for the root system of the plant. 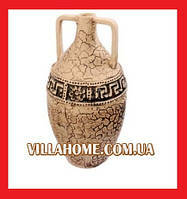 Such an amphora will be a great addition to the landscape design of your garden. But the main advantage for which those who are engaged in landscape design so love and appreciate them is a POROUS CAPILLARY STRUCTURE. - nor frost (the product does not crack by frost). Imagine how this vase decorates your country garden, closes empty spaces and just pleases the eye. 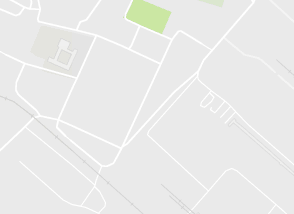 Our production is in Ukraine . We are ready to cooperate with foreign companies.